Are You in Need of a Professional Office Mover Serving the Tampa, FL, Area? If you are looking for an expert office mover around the Tampa, Florida, area, look no further than the trusted professionals at Reusable Office Interiors. We can help you relocate to your new workspace, taking care of all of the logistics and heavy lifting. In addition to being an expert office mover, we also are talented with office interior design. 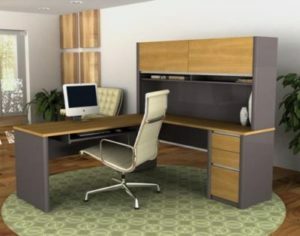 Our expert designers can ensure your office furniture is arranged in a visually appealing and functional manner that will accurately reflect the style of your company. In the event you want to update some of the furnishings in your new office, we can provide you with high-end furniture from popular manufacturers, such as Herman Miller, Teknion, Steelcase, Haworth, Knoll, and others. Plus, because the furnishings we offer are gently used and refurbished, you’ll be able to purchase pieces you love at prices you can afford. What’s more, as your office mover, we can also liquidate any unwanted office furnishings you have, which will give you more money to put towards your budget. We can even recycle eligible items for you, reducing the amount of waste that ends up in landfills. This can result in your business receiving a tax credit. For more information as to why we are the office mover for you, contact Reusable Office Interiors today. We will be happy to answer any questions you have and tell you more about the exceptional products and services we offer to business owners in the Tampa, FL, area.